Filing jointly can help make you eligible to contribute to a Roth IRA. 1. Can a Nonworking Spouse Have an IRA? 2. Can I Make a Roth IRA Contribution in a Year When I Rolled Over an IRA? Using a Roth individual retirement arrangement allows you to stash away after-tax dollars so that you won’t have to pay taxes when you take your distributions upon retiring. However, you have to meet the compensation and income requirements to be eligible to contribute to a Roth IRA. 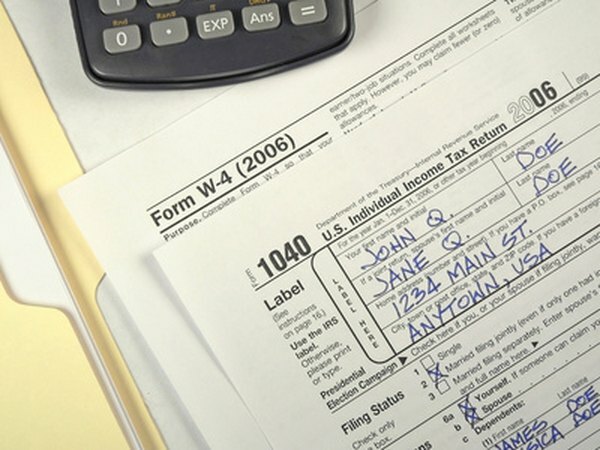 Filing a joint return is particularly useful in qualifying to contribute. Usually, you must have earned compensation during the year to be eligible to make a Roth IRA contribution. However, if you file a joint return with your spouse, the IRS doesn’t care which spouse earned the compensation -- it can count for either spouse. For example, if you don’t work but your husband does, and you file a joint return, you can rely on his salary to meet the Roth IRA compensation requirements. The modified adjusted gross income limits for contributing to a Roth IRA are higher when you’re married and filing a joint return. In 2012, you could make a full contribution to your Roth IRA if your modified adjusted gross income was under $173,000, and you could make a reduced contribution if your MAGI falls between $173,000 and $183,000 when married filing jointly. If you’re married filing separately, you cannot rely on your spouse’s income to contribute to a Roth IRA. In addition, unless you didn’t live with your spouse at any time during the year, you’re not allowed to make a full contribution, and you can only make a reduced contribution if your MAGI falls between zero and $10,000; any higher and you’re completely ineligible to contribute. If you didn’t live with your spouse at any time during the year, you can use the higher single filer income limits. If you fall within the reduced contribution range, you have to calculate how much you can contribute to your Roth IRA for the year. To do so, subtract the lower limit of the reduced contribution range from your MAGI and divide the result by the size of the reduced contribution range. Next, subtract the result from 1. Finally, multiply the result by the usual annual contribution limit. For example, you’re married filing jointly with a MAGI of $175,000. Subtract $173,000 from $175,000 to get $2,000. Then, divide $2,000 by $10,000 to get 0.2. Next, subtract 0.2 from 1 to get 0.8. Last, multiply 0.8 by your annual contribution limit of $5,000 to find you can only contribute $4,000 to your Roth IRA. Compensation requirements and income and contribution limits are found annually in IRS Publication 590. Can I Invest in a TSP & IRA at the Same Time? What Is an IRA Contribution Limit? Does Rollover Into a Roth IRA Count Toward an Annual Contribution?